You might have read articles on carpet trends talking about beautiful frieze carpets. Or watched an HGTV show that featured new trends in textured and patterned carpets. So just what are all these designers talking about? What's the difference between a frieze and textured carpet? What exactly is a patterned carpet? How does a loop carpet stand up to traffic compared to a cut pile traffic - and do they actually look different? There are a lot of options for carpet today. Let's take a few minutes to add some clarity to those carpet choices with input from Indianapolis carpet store, Kermans. You can click on any of those names and go to our website to see more detail about each. Let's review a few of the key benefits of each type to help you narrow down your choices. Loop carpets: These carpets are sometimes also offered as textured carpets - particularly when there is a mix of loop and cut loop yarns. The biggest benefit from loop carpets? Less yarn fraying which means they stand up better in high traffic areas. Cut pile: The most versatile type of carpet available. The gold standard for carpet. You can find a yarn density that will stand up to high traffic or a lush, velvety option just right for a quiet bedroom. The biggest benefit from cut pile carpets? Selection and price. As the most common type of carpet available, you're going to have more options to choose from here than anywhere else. Texture: Manufacturers are adding texture to carpets in a variety of ways. You may find a loop carpet or cut pile carpet that has texture to it - which means you'll get the benefits of that style in addition to the benefits that a textured carpet brings. 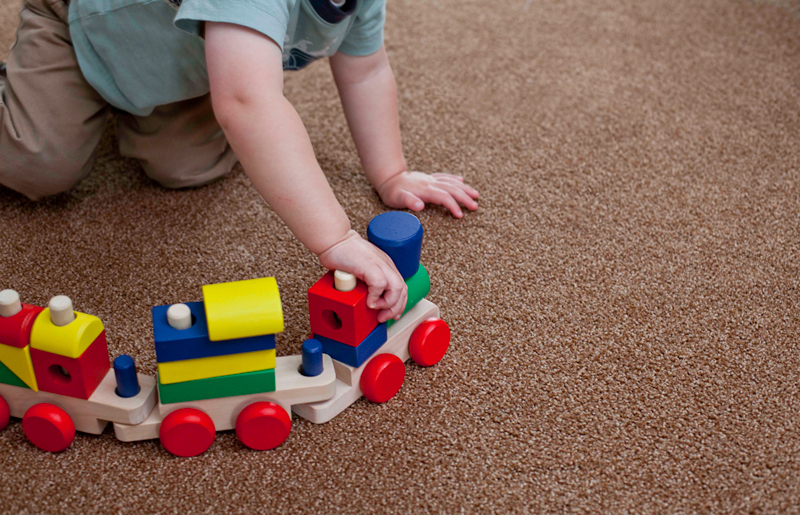 Just what are the biggest benefits from textured carpets? Design options, the texture brings in more flair and a contemporary look to your carpet choice. Textured carpets are also more user-friendly, they naturally hide wear and tear better than some other carpet choices. Patterned: As with textured carpets, you can find cut pile carpets with a pattern or loop carpets with a pattern. The key difference here? Creativity. No longer are you restricted to one color or even a small range of color choices. With patterned carpets, the sky is the limit. You can have a bold animal print or a subtle swiss dot pattern. The variety and design options are making patterned carpets one of our biggest sellers. When you're ready to buy carpet, you don't have to figure out the best option on your own. At Kermans carpet store in Indianapolis, our design consultants are ready to help you - for free! You can even make an appointment ahead of time and they'll have samples ready and waiting when you arrive. Design assistance. Huge selection. Excellent prices. It's no wonder Kermans Flooring has been Indianapolis best carpet store for decades.